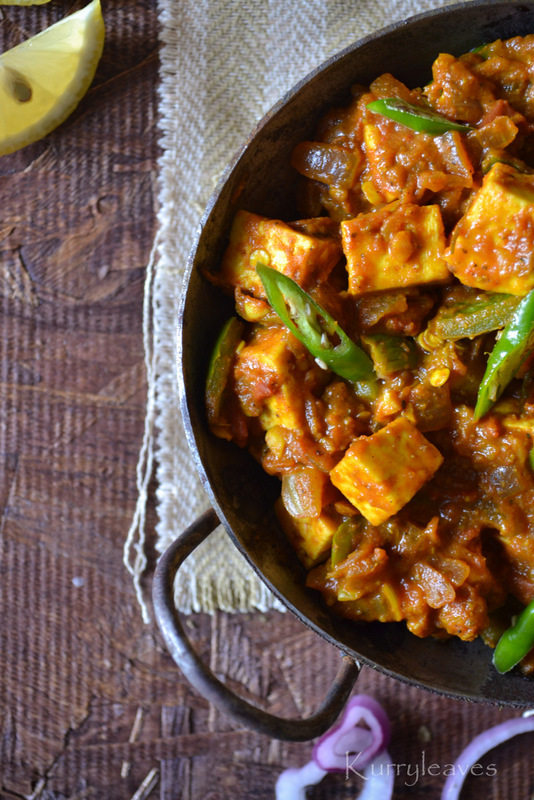 Soak paneer cubes in hot water until required. Heat oil in a pan and add onion,garlic,ginger and green chilies.Saute until onion turns translucent. Add chopped tomato and cook until tomato turns mushy. Add diced capsicum and cook for 1 or 2 minutes. 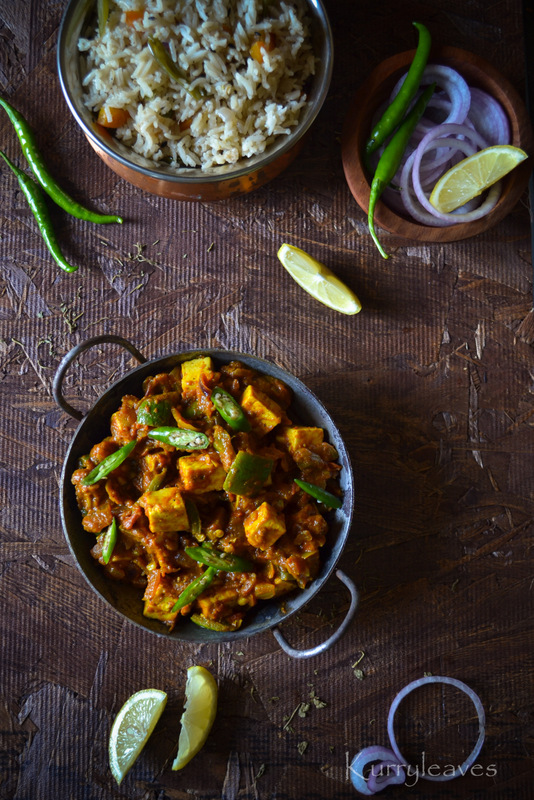 Pour water and mix well.Bring it to just under a boil and add the drained paneer cubes and mix gently. Cover and cook for 4 to 5 minutes on medium low flame or until gravy thickens. Add crushed kasuri methi,stir gently and switch off the stove.Cover and keep aside for few minutes,before serving. 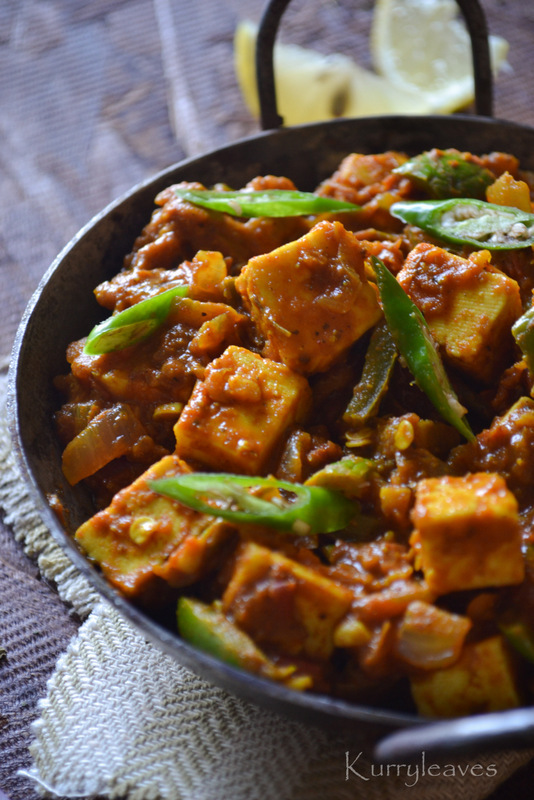 Note: You can also shallow fry the paneer cubes if required. 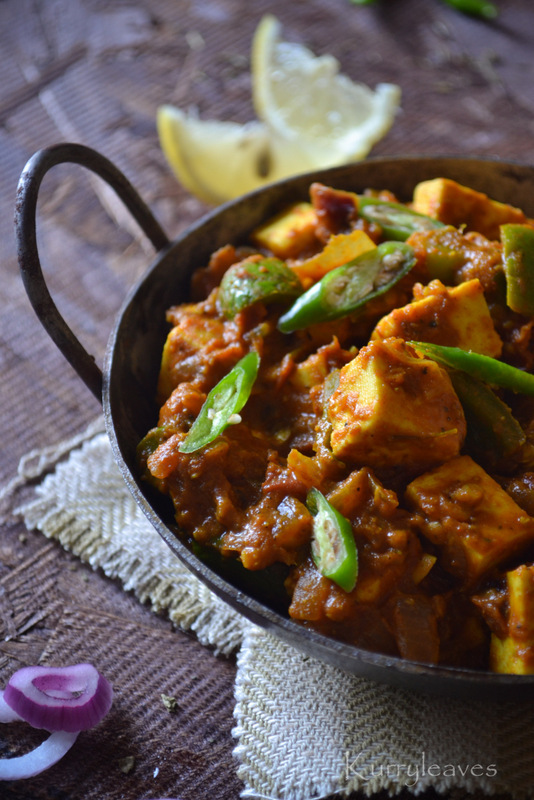 Tempting flavorful kadai paneer...Adipoli clicks.. 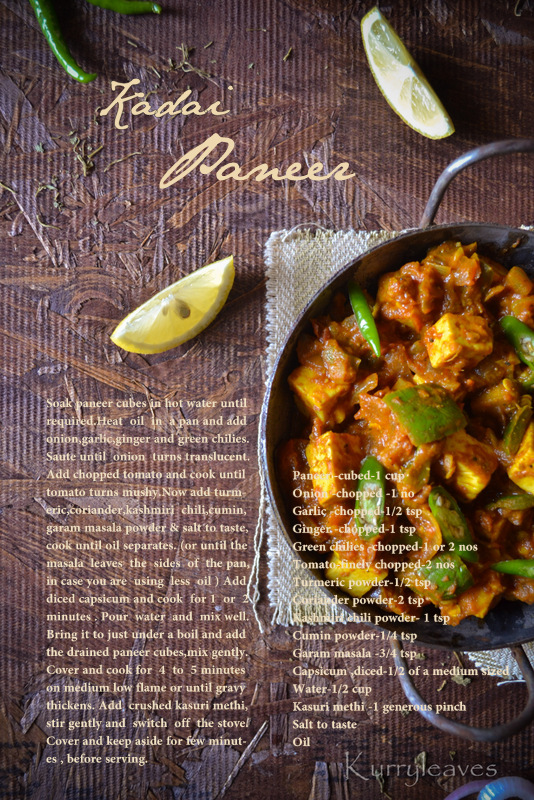 Salivating here, such an inviting flavourful kadai paneer. A rich side for roti.